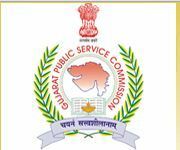 Gujarat Public Service Commission has recently declared Result of Interview for the Post of Deputy Director, Industrial Safety & Health Service, Class-II and Assistant Director, Industrial Safety and Health, Gujarat Industrial Safety and Health Service, Class-II. The Interview was held in the month of December 2014. GPSC Interview Results and Cut off Mark also available on the official website http://www.gpsc.gujarat.gov.in/. You can download by click on following link given below. Recruitment Note: The Gujarat Public Service Commission has already released recruitment notification for the Assistant Engineer Civil (Class II) Under Narmada and Water Resources Department. Eligible candidate may on line application before 15th January 2015. Read full details from here.